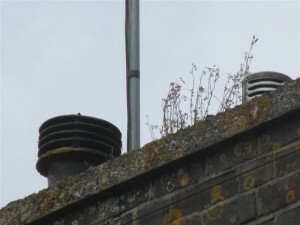 Vegetation growth in gutters and on chimneys is a clear sign that there has been a lack of attention to routine maintenance and repair which then leads to damp penetration. 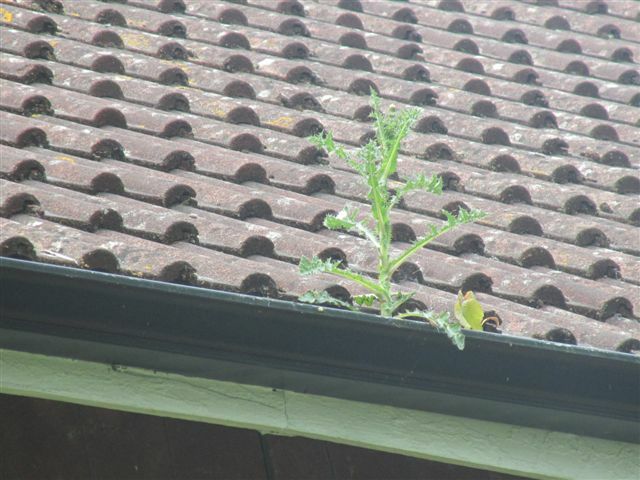 This was apparent during a HomeBuyers Inspection on a maisonette we surveyed in Crawley, West Sussex. Vegetation growth to the chimney will mean that some repointing will be required and a close quarters inspection with long ladders should be carried out as soon as possible by a brick layer or roofing contractor. Blocked gutters are easier to deal with but must be cleaned out at least once a year to prevent blockages and rainwater water spilling over onto the walls which could result in water penetration. 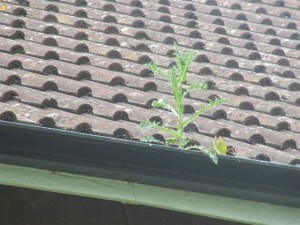 Roofing underfelt should be dressed into gutters to help seal the gap under eaves.